After lunch at the Iman's house, Kirsten and I were selected to be "married." Before we knew what was happening, we were dressed in traditional clothes, had a mother of the bride and father of the groom assigned. Then the fun began with deciding on a dowry from the groom's father. The group finally decided on a donkey and 50,000 dirham plus a house. 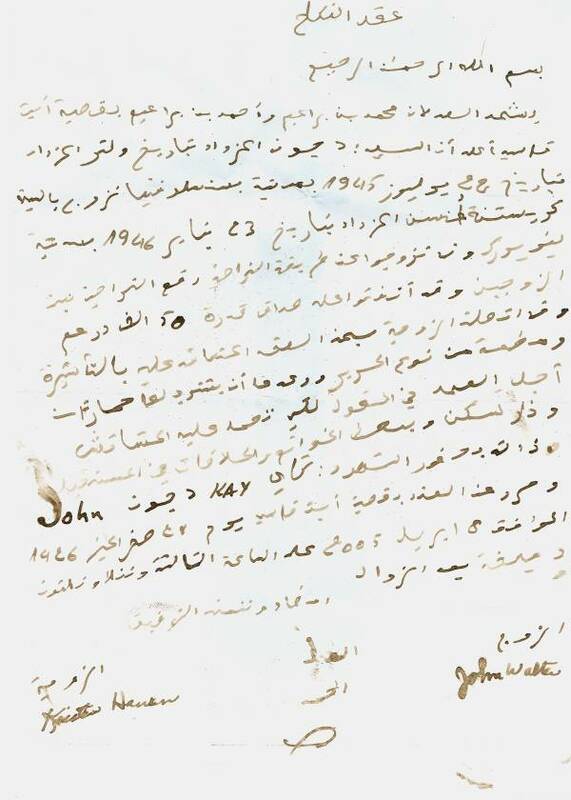 The Iman wrote the official document with names, date, dowry and we all signed. Leaving the house we made so much noise that the local people came out to see the commotion. There was still about an hour drive to Ouarzazate. We were then assigned the "honeymoon" suite on the top floor overlooking the pool. In the morning was a trip to the Äit Benhaddou ksar, a citadel like village on the side of the mountain. It's like something straight out of desert folklore. Its squat towers and small-windowed buildings are exactly the same red-brown color as the surrounding desert (not surprising as they're made from the same stuff), and wandering the streets of the ancient citadel is like stepping back in time. It's also surprisingly cool and an excellent shelter from the wind, which kicks back in again as you escape from the shelter of the dwellings and onto the top of the ksar. It is about 250 years old. It's purpose was a caravan stop. As desert experiences go, it's difficult to beat the feeling of sitting on top of an ancient castle, looking over the same hills, valleys and oases that the ancient Berbers would have surveyed from their fortified town. Although ksars are built from sun-dried clay and mud (known as pisé) and don't last very long in the rain – if left untended, your average Berber ksar would be in ruins after 50 years – it makes no difference that they aren't completely identical to the ksars of ancient times. The atmosphere is completely authentic. We had a few rest stops on our way over the summit of the High Atlas Mountains.